A keyhole in the British government’s account of the Salisbury poisonings has been plugged – the lack of any actual suspects. 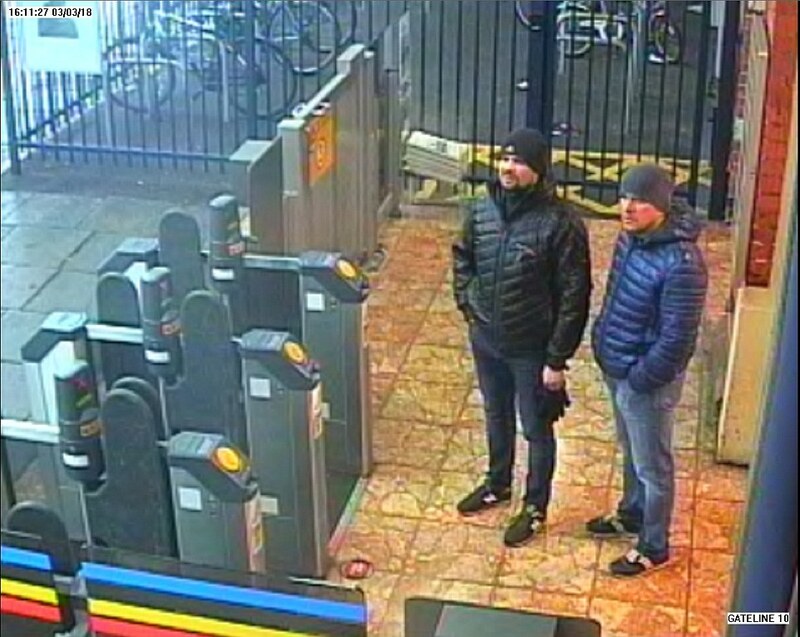 And it has been plugged in a way that appears broadly convincing – these two men do appear to have traveled to Salisbury at the right time to have been involved. But what has not been established is the men’s identity and that they are agents of the Russian state, or just what they did in Salisbury. If they are Russian agents, they are remarkably amateur assassins. Meanwhile, the new evidence throws the previously reported timelines into confusion – and demolishes the theories put out by “experts” as to why the Novichok dose was not fatal. There is no CCTV footage that indicates the Skripals returning to their home. It has therefore always been assumed that they last touched the door handle around 9 am. So even if the Skripals made an “invisible” trip home before being seen on Devizes Road, that means the very latest they could have touched the doorknob is 13.15. The longest possible gap between the novichok being placed on the doorknob and the Skripals touching it would have been one hour and 15 minutes. Do you recall all those “experts” leaping in to tell us that the “ten times deadlier than VX” nerve agent was not fatal because it had degraded overnight on the doorknob? Well, that cannot be true. The time between application and contact was between a minute and (at most) just over an hour on this new timeline.